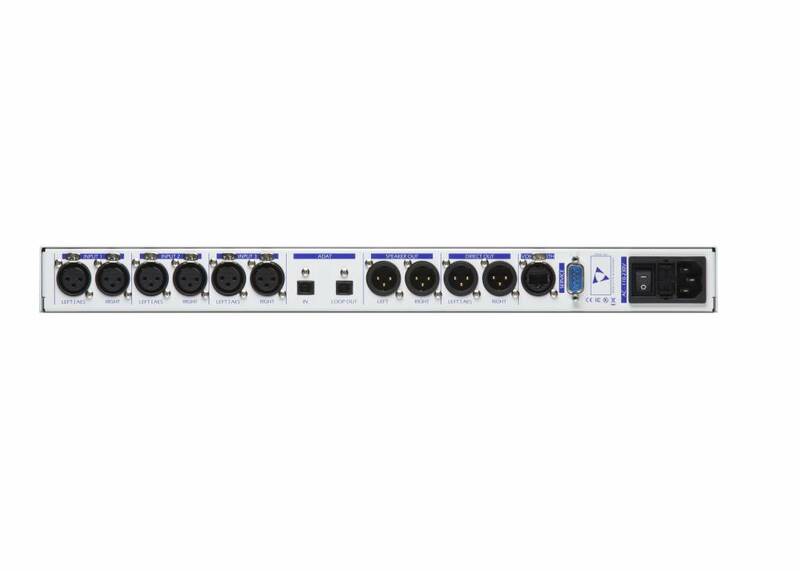 The TRISON ProMonit provides the best audio quality for monitoring in an one rack unit size with aluminum front panel! 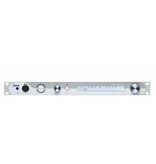 This monitoring solution includes three combined balanced analog and AES/EBU digital audio inputs. 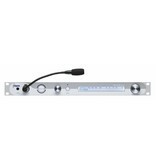 The fourth audio input is based on the ADAT standard with a loop through output. All connected and selected input sources can be mixed in a separate input source. 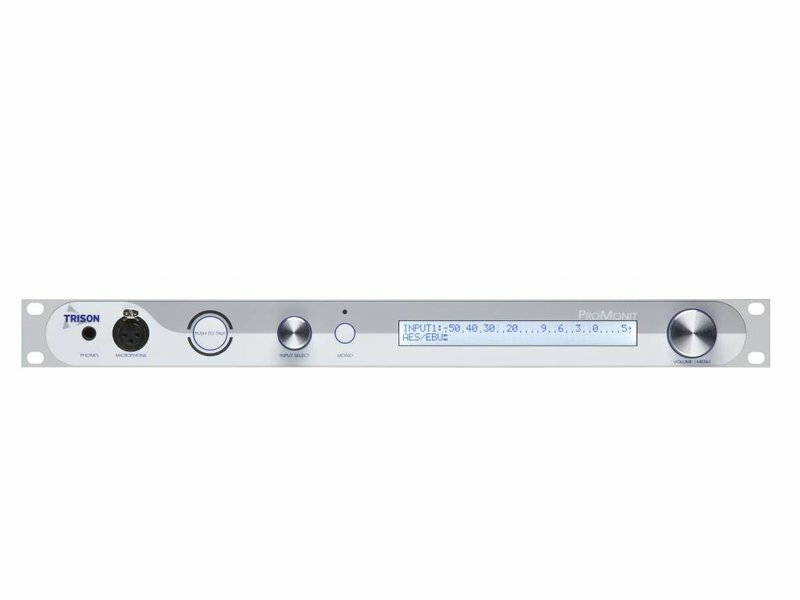 The elegant front panel design has a display which is used for the menu structure and audio metering with selectable scales: Nordic, VU, DIN PPM and EBU Digital Full Scale. The TRISON ProMonit gives you the best audio monitoring solution for Outside Broadcast, Production Studio, Newsroom, Master Control, Ingest and QC and Playout and Transmission. With lots of segments you can monitor a wide dynamic range depending on the scale you choose. The audio level metering is integrated in the display. You can select between VU, Nordic, DIN PPM and Digital Full Scale. The menu structure gives you the possibility to set peak hold on or off and set the position where it should peak hold. If the display is too bright or not bright enough, settings for contrast and backlight can be set in the menu structure! 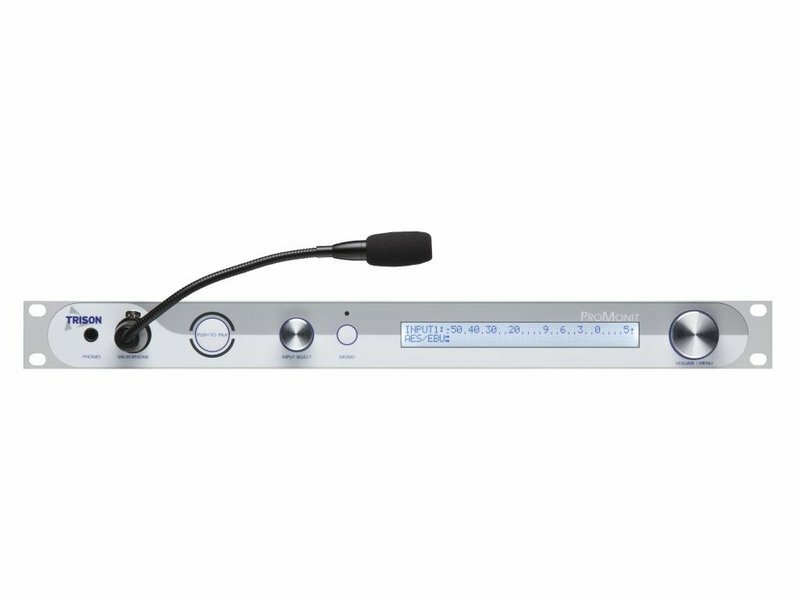 Use the talkback mic to give instructions to the voice over talent in the headphone mix (requires the ProMonit VB in the voice booth and microphone accessory for the ProMonit). 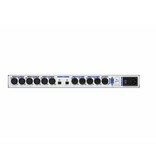 If you use AES on the direct out, the right analog output can be used to record the talkback signal. In Master Control situations it’s essential quickly monitor audio levels of incoming signals and uplinks for transmission. 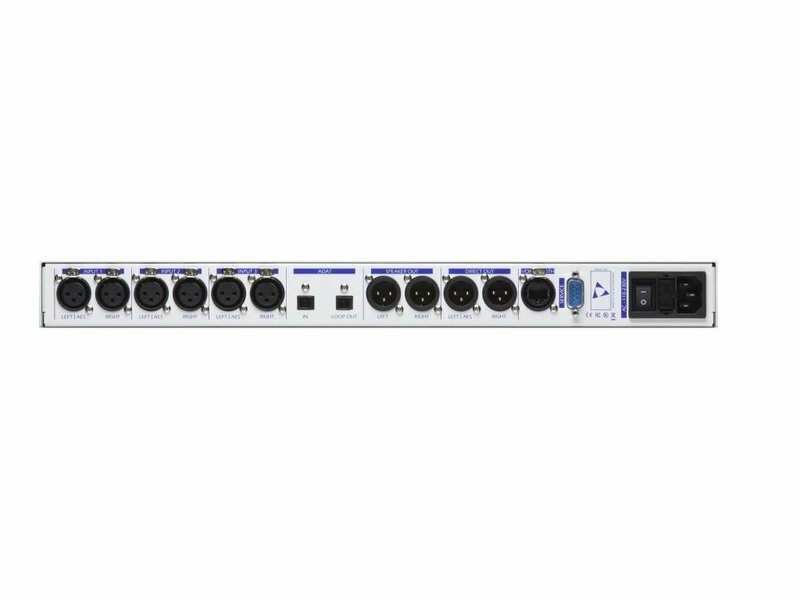 The slim single rack unit design of the Trison ProMonit is perfect for installation into OB Vans and smaller ENG flyaway kits. No doubt, this is the audio quality you can trust in your audio facility! 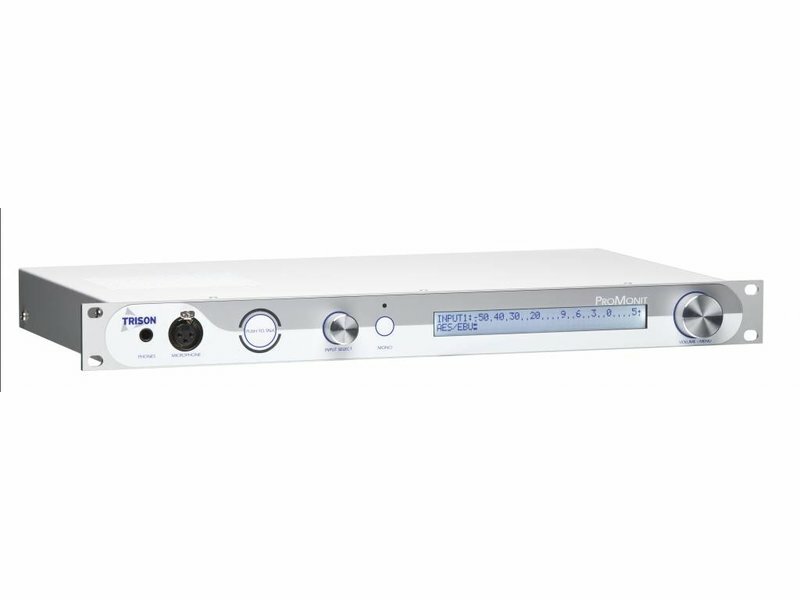 The Trison ProMonit offers high-performance, multi-rate A/D conversion in 32KHz, 44,1KHz, 48KHz, 96KHz and 192KHz. 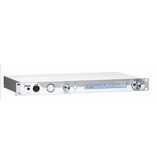 The ProMonit is the right choice in sound recording, mastering and broadcast.